A large truck was the cause of canceled train trips after the driver ran his vehicle into an overhead power system near New Haven, Connecticut. The collision caused Amtrak to suspend all trains traveling between Boston and New York for more than three hours last week, according to The Wall Street Journal. Trains between New York and Boston were the only ones affected in the accident. Our Boston personal injury lawyers urge all residents and visitors to take advantage of the convenient public transportation options that are offered throughout our state. We would also like to take this time to raise awareness about the importance of passenger safety on these rides. This goes out to those traveling near these modes of mass transit as well. Transportation companies are responsible for providing safe transportation for residents and visitors of our city. A number of injuries that occur within mass transit accidents can be easily prevented by taking a few precautionary steps. As we recently reported on our Boston Personal Injury Attorney Blog, the MBTA witnesses nearly 2,500 accidents each year that are caused by motor-vehicle drivers. The MBTA believes that roughly 500 of these accidents could be prevented. New Haven police are investigating the AmTrak accident from earlier this week. No train passengers were hurt in the accident, according to Amtrak spokesman Marc Magliari. Amtrak crews have already made repairs to the damaged tracks and to the overhead power system. Service between New York and Boston has been restored. 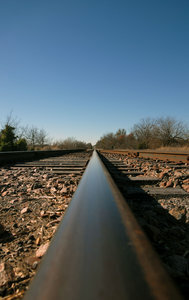 There are more than 600 railroads in the United States. About 200,000 miles of track help these trains navigate throughout the country. There have been about 12,000 train accidents annually since 2002. Unfortunately, these accidents took the lives of about 1,000 people. Train accidents can be caused by a number of factors, including the negligence of the train operator, lack of safety provisions by train companies, locomotives, trolleys and even motor-vehicle operators. These companies are required by law to effectively protect all passengers and operators of their vehicles. These accidents can occur in any number of places, including at railroad crossings where light is dim and where signals fail to notify passenger vehicle occupants that a train is approaching. Trains are also able to derail. This can happen because of mechanical failures or improper track and equipment maintenance. Speedy or fatigued drivers also contribute to these accidents. Oftentimes cargo can become loose or unsecured in the event of an accident, resulting in spills of hazardous waste or other dangerous objects. Determining the cause and the fault of a train accident, or any other mass transit accident, can be a complicated and lengthy process. You are urged to seek an attorney if you’ve been involved in one of these accidents as they can help you determine fault and proper compensation.